Loreto, Italy, Mar 25, 2019 / 06:38 am (CNA).- On the Solemnity of the Annunciation, Pope Francis emphasized the importance of family and marriage for society. He also called the Virgin Mary a model for every vocation. Vatican City, Oct 12, 2017 / 03:32 am (CNA/EWTN News).- On Thursday Pope Francis named Fr. Enrique Delgado, who has a background in economics, as an auxiliary bishop for the Archdiocese of Miami, making him the first Peruvian bishop in the United States. Previously holding the position as pastor of the Miami’s Saint Katherine Drexel Parish in Weston, Delgado will serve under Miami’s Archbishop Thomas Wenski. His appointment as bishop was announced in an Oct. 12 communique from the Vatican. 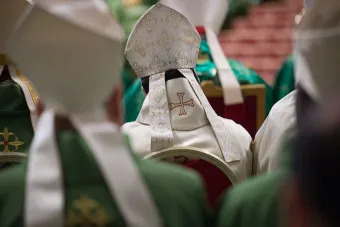 In addition to being the first Peruvian bishop in the U.S., Delgado is the 14th auxiliary bishop to serve South Florida’s Catholic community since the Miami diocese was created in 1958. It became an archdiocese in 1968. Born in Lima, Peru in 1955, Delgado studied at the University of Lima and in 1982 obtained a Masters Degree in Economics, with an emphasis in Finance and Accounting. He worked as a manager for a number of years in Peru before eventually came to the United States and entering seminary for the Miami Archdiocese, undergoing studies in the in the Saint John Vianney College Seminary of Miami and later in the Saint Vincent de Paul Seminary in Boynton Beach. After completing his studies in 1996, he was ordained a priest for Miami the same year. Delgado served as pastor of several parishes after his ordination, including St. Agnes Parish in Key Biscayne, Nativity Parish in Hollywood, Saint Justin Martyr Parish in Key Largo and finally Saint Katherine Drexel Parish in Weston, where he has been stationed since 2010. The bishop-elect continued his studies while serving as a priest, and obtained his doctorate in Practical Theology from Saint Thomas University in Miami Gardens in 2015. In an Oct. 12 press release from the Archdiocese of Miami, the diocese said they are “proud” to have Delgado on board. He will officially be introduced by Archbishop Wenski during a 10a.m. press conference at the Archdiocese of Miami’s pastoral center. His episcopal ordination will take place Thursday, Dec. 7, at Miami’s St. Mary Cathedral, with Archbishop Wenski presiding. Vatican City, Aug 28, 2018 / 05:10 pm (CNA).- Pope Emeritus Benedict XVI’s personal secretary said Tuesday that the former pope has not commented on a testimony released Saturday by a former Vatican ambassador, and that he has no plans to do so. Vatican City, Oct 7, 2018 / 05:05 am (CNA/EWTN News).- A married couple striving to faithfully live out their life-long commitment to each other, need both God’s grace and love that is anchored in self-gift, Pope Francis said Sunday. 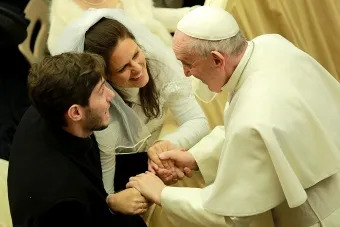 “What allows married couples to remain united in marriage is a love of mutual self-giving sustained by the grace of Christ,” the pope said Oct. 7. The same mercy God shows to all his people when they fail through sin, “teaches us that wounded love can be healed by God through mercy and forgiveness,” Francis stated. 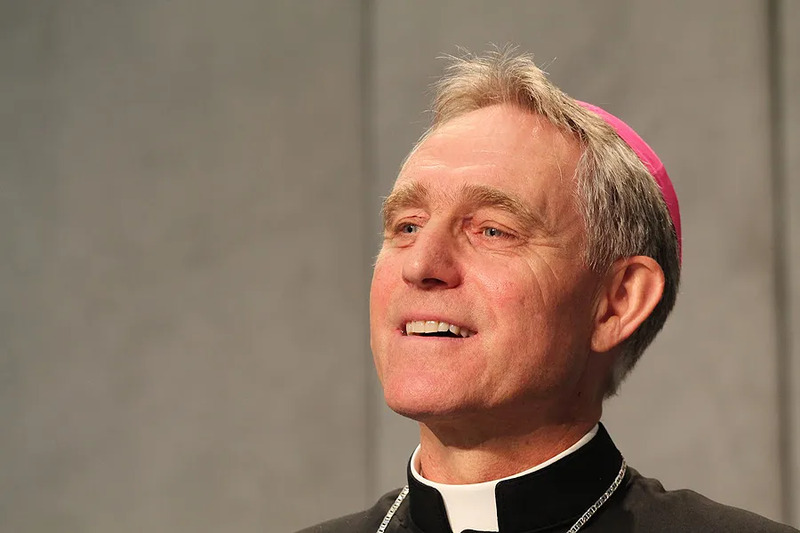 “This teaching of Jesus is very clear and defends the dignity of marriage, as a union of love that entails fidelity,” he said. In this Gospel passage, Jesus confirms God’s plan for marriage, not allowing for any exceptions to the permanent commitment of marriage. “He does this to confirm the plan of God, in which the strength and beauty of human relationships stand out,” he said.